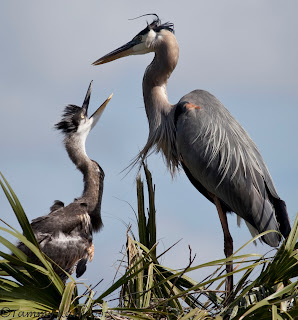 i heart florida birds: Say What??? I took a mid morning stroll through the wetlands yesterday with my now 2-year old. We didn't cover a very large area, but we did enjoy the interesting birds and behaviors we observed, particularly this pair of terns. We came upon these terns as they stood in the road engaging in what appeared to be a heated discussion. 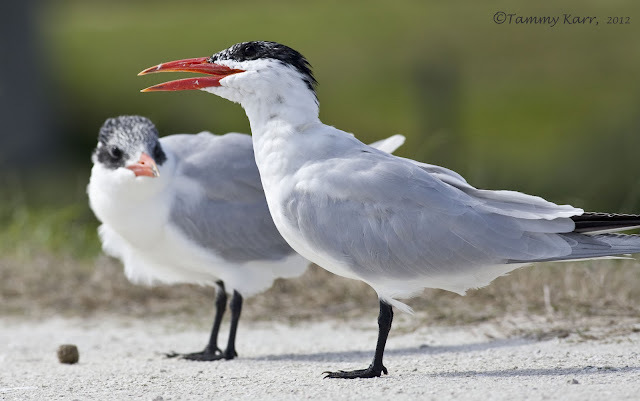 These terns produce some interesting loud, harsh croaking sounds. 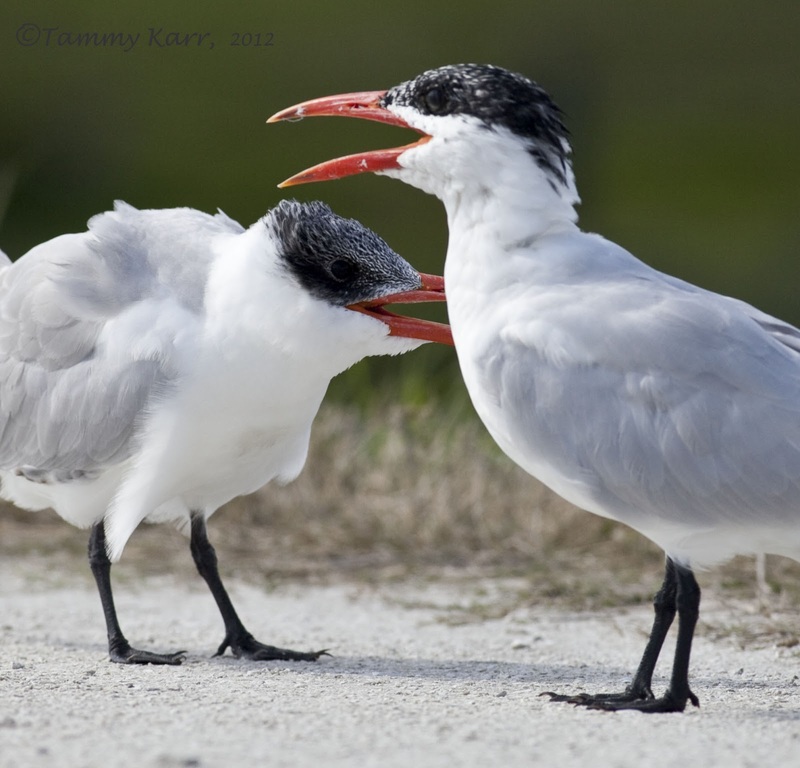 While Caspian Terns are known to provide for their offspring for extended periods, I don't believe that was this tern's intention. 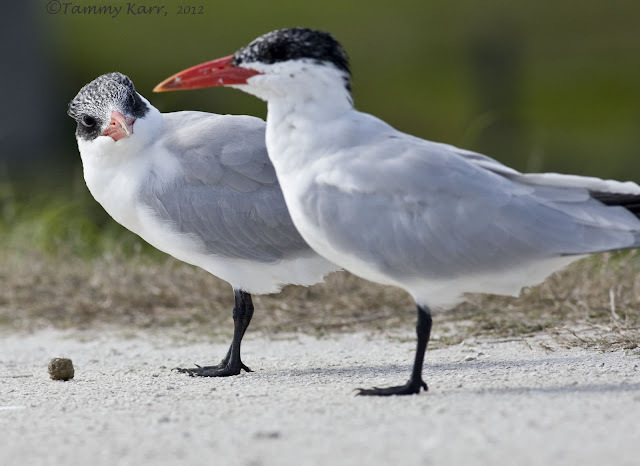 Caspian Terns typically feed their young whole fish. Both birds seemed perplexed by the strange object excreted by the tern. The second tern tried to get a better look. 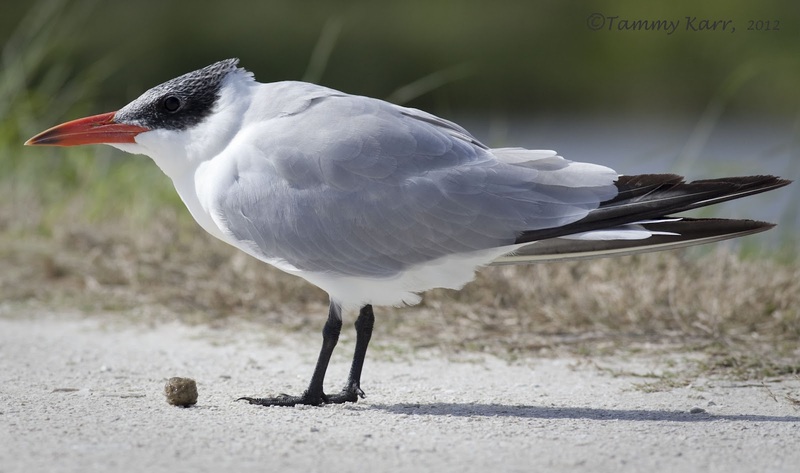 There was some discussion about what sort of things this tern has been consuming....meatballs??? The Blue-Winged Teal and Limpkin were both so kind to pose for us. 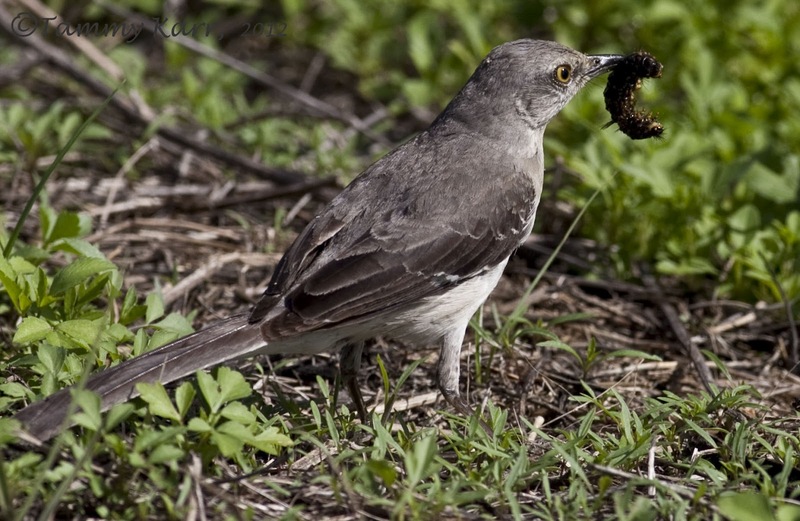 The caterpillars don't stand much of a chance against the hungry birds! 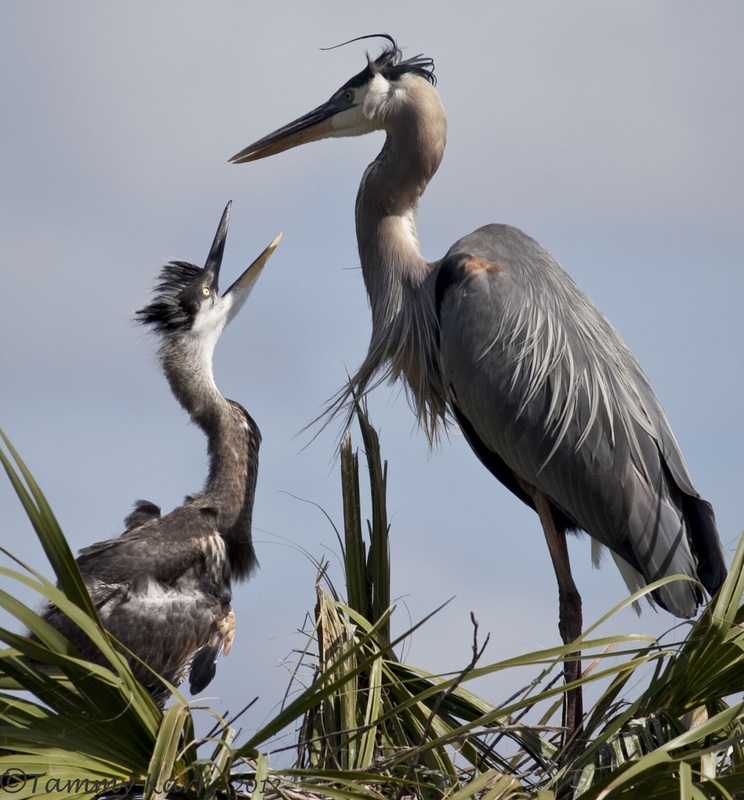 This adolescent GBH appeared to be letting mom know it was time for lunch! laughing at the surprise 'nugget'. you catch the greatest shots! Thanks for your comments Tex! they are all so excellent. Muy bueno el tema de discusión de estas aves... Buenas imágenes, y muy ilustrativas... Felicidades Tammy... Saludos..
LOL! 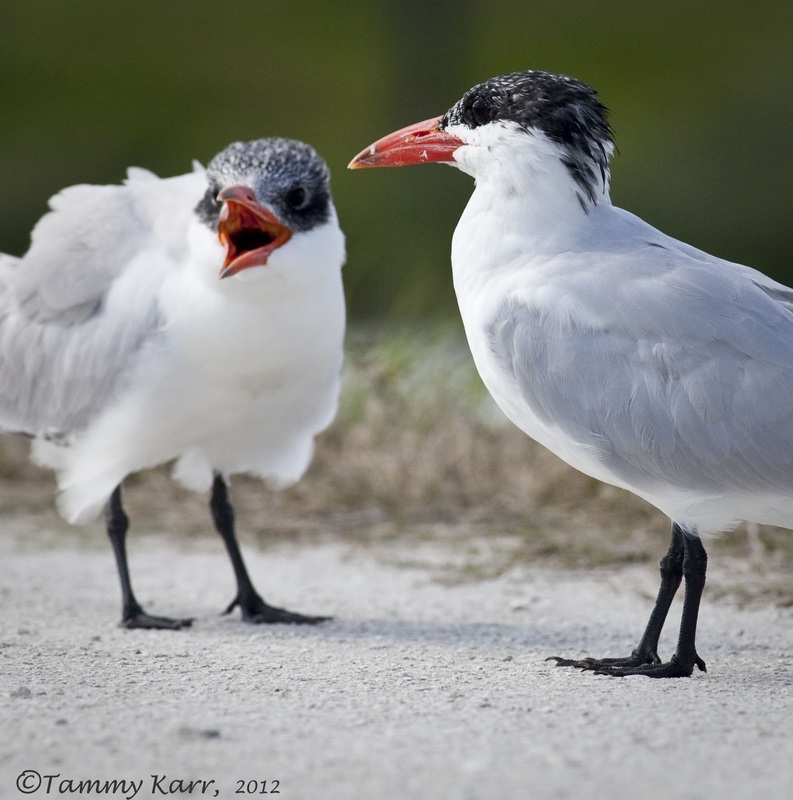 Your tern "dialogue" is hilarious and the photos are fantastic! 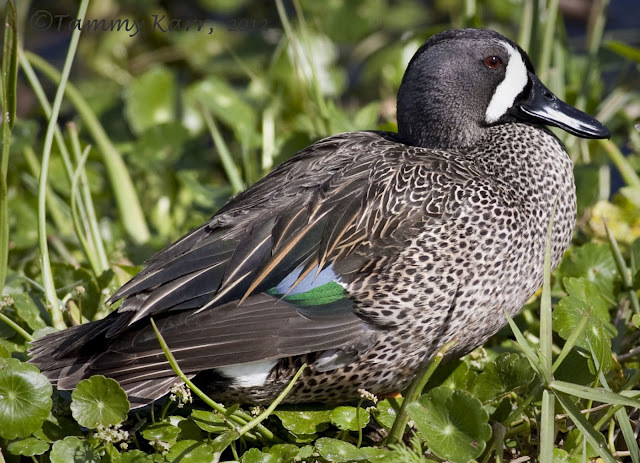 I love the Teal and Limpkin, too. Gorgeous shots! Wonderful images Tammy. 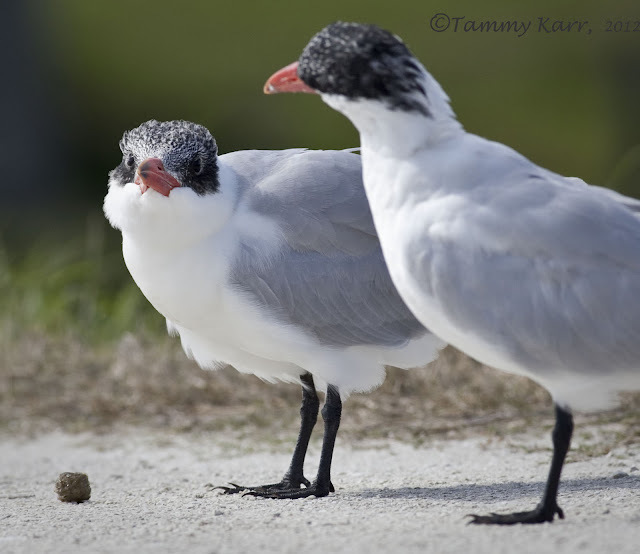 Great behavior too with the Terns and their pellets. I didn't know they expel those. Thanks so much Laurence! I didn't know they expelled pellets either! Tammy, it is wonderful that you shared this all with your two year old. A young birder/naturalist. Fun shots with the tern's pellet. 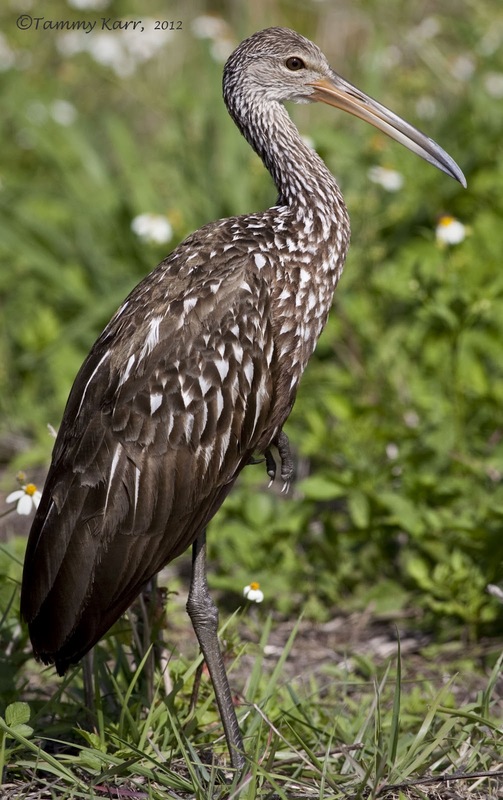 Love the Limpkin! Thanks for your comments Mia! My son comes with me the majority of the time; he really loves being outdoors! Super shots Tammy. 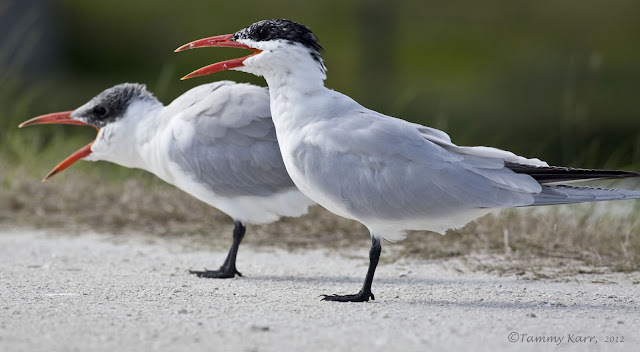 How I would love to see a Caspian Tern in the UK. Bellissime fotografie, L'alzavola ha delle piume con colori fantastici!! All awesome shots! I especially enjoyed the spot-on commentary of the terns. They really did seem to be perplexed! Great series of photos Tammy, the Tern shots are superb! Wonderful images Tammy...Thanks for sharing..Have a nice saturday. Exquisite pictures, I love the Caspian Terns, but, I love them all. Great blog, Tammy, I love birds. Que maravilla de entrada Tammy, enhorabuena las fotos son geniales. Nice little stroll youve hade with alot of great shots. such interesting birding today Tammy, really like those pristine white shots of the Cas terns...we get them out on an island here...never seen a Limpkin and would love to see a blue winged teal up close like that...dream on! I'm in awe, you have a toddler with you and you're capturing photos of birds. You should write a book on "The Art of Bird Photography with a Toddler". Otro trabajo impecable, unos primeros planos preciosos. Muy buenas capturas, muy bellas. Muy buenas fotos con ese punto de vista a ras de suelo. Excelentes fotos. Adoro las aves.